Truth be told, I’ve kind of outgrown the desire to recap the various cards and collectibles that I acquire at shows. 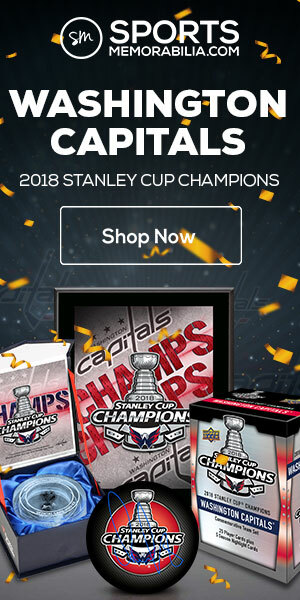 Part of it seems like bragging (“Look how much money I spent!”) and part of it seems rather trivial (“Yep, I found that Ilya Bryzgalov rookie card in the quarter box!”). 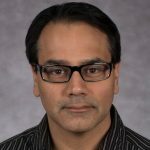 Plus, I’d rather write other articles, like making fun of a horrible hockey card, reviewing the best and worst hockey card sets ever made, re-imagining an old NHL draft, or interviewing a current or former player. Man, oh man, I’ve wanted one of these for a long time. 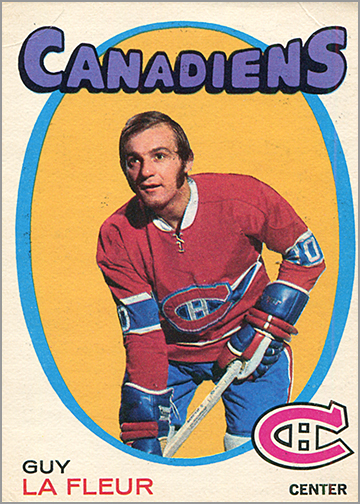 The card isn’t perfect, but the price was what I could afford, and this is one of the big cards in the 1971-72 O-Pee-Chee sets, which I am slowly building. 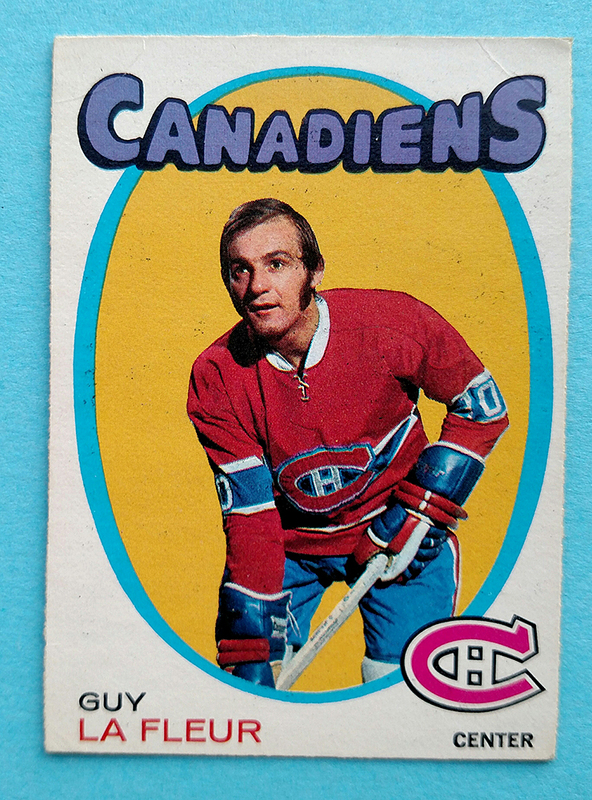 Guy Lafleur was my Mom’s favorite hockey player back in the 1970s. She even kept a scrapbook about “The Flower,” which she gave me — along with a postcard autographed by Lafleur — back when I got into hockey. Two generations of my family were fans of Lafleur. I never break the bank on checklists, because they’re checklists. I can easily live with one that’s been marked up. 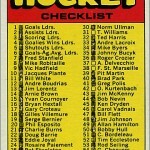 But these were the two checklists I needed upgrades of for my 1972-73 O-Pee-Chee set build, and the price was right. 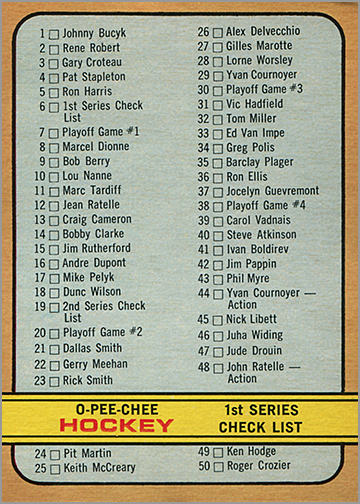 I also picked up about two dozen other cards that I needed from this set, including cards of WHA players for $2 to $4 each. I’ve been leisurely working my way through this set since 2012, and am down to needing just 31 cards to finish this one off. 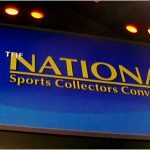 Finding those few tables with dirt-cheap sets when I go to The National has become a priority for me, and the enjoyment I get out of these sets will far outweigh the few bucks I spent on each one. 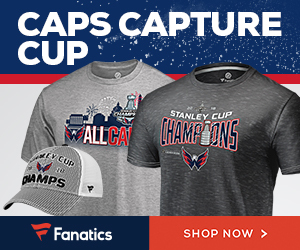 …at $2 each. 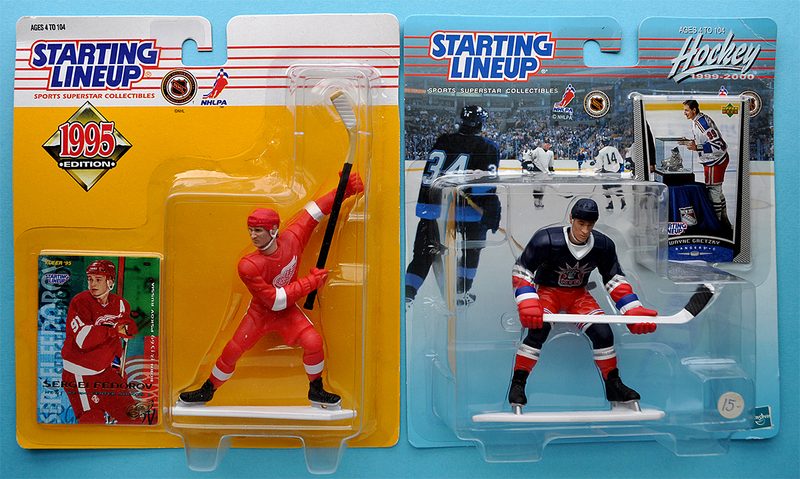 Notice that the Gretzky figure still has a $15 price tag. My, how the mighty have fallen. 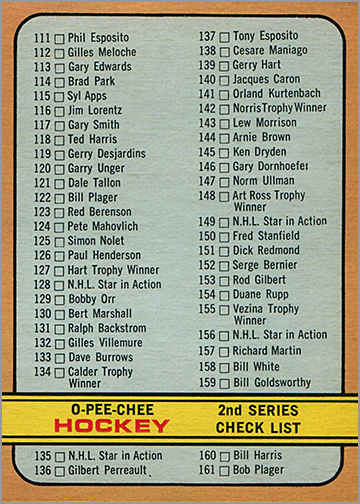 My love for old Pro Set cards has extended beyond hockey. One dealer had a complete box of 1991 Pro Set MusiCards for $4. I will totally get $4 of enjoyment out of opening these packs and making fun of M.C. 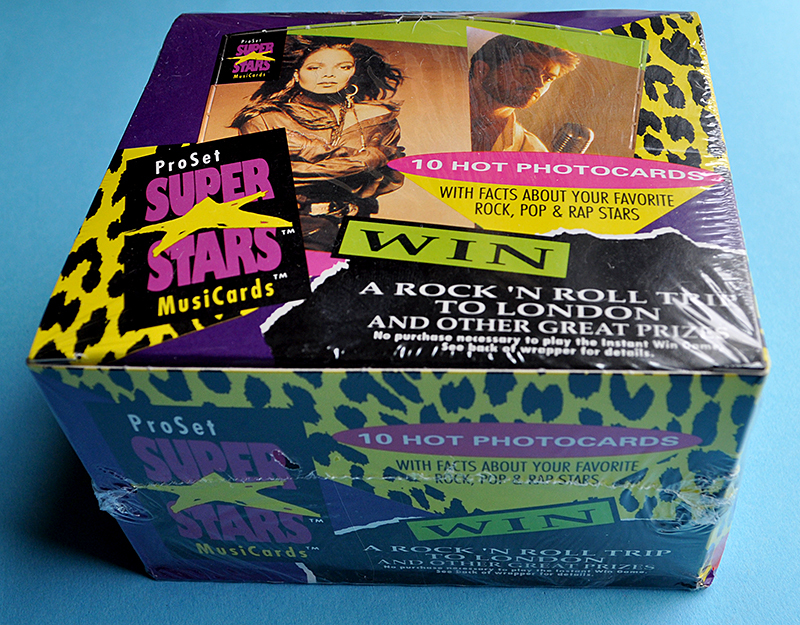 Hammer, Vanilla Ice and the other “stars” of 1991. I stopped by the Topps booth to say hello to Susan Lulgjuraj, who was my editor at Beckett Hockey Magazine before she took a job with Topps. 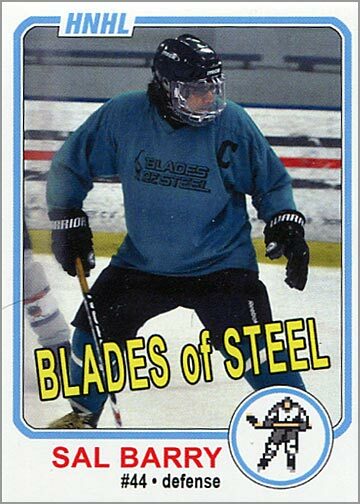 I gave her one of my Sal Barry Blades of Steel trading cards. 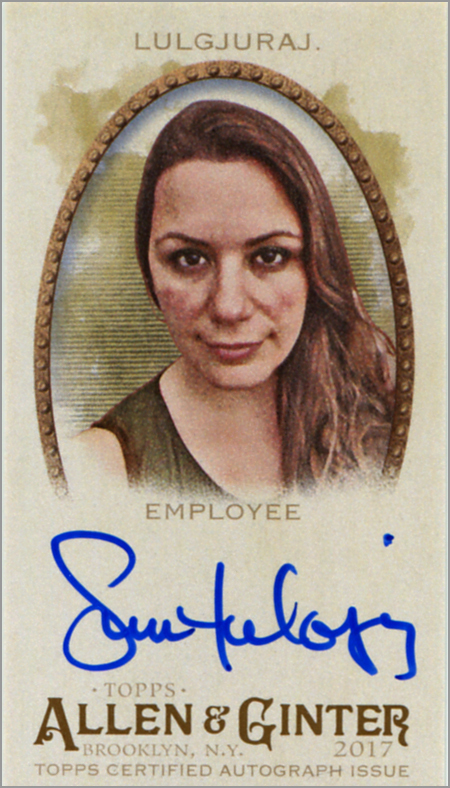 She, in turn, gave me one of her “Topps Employees” cards that are found in packs of 2017 Allen & Ginther Baseball cards. I was so touched by the gesture. I got a few other autographed cards for $1 to $3 each, including Dale Hawerchuk ($3), Haley Wickenheiser ($3) and Scott Niedermayer ($2). I did rummage through some quarter and dollar boxes, and found probably around 50 cards for my want list. I also met up with fellow bloggers Tim and Justin, who hooked me up with another 200+ singles that I needed. You will notice a few things absent from this list. 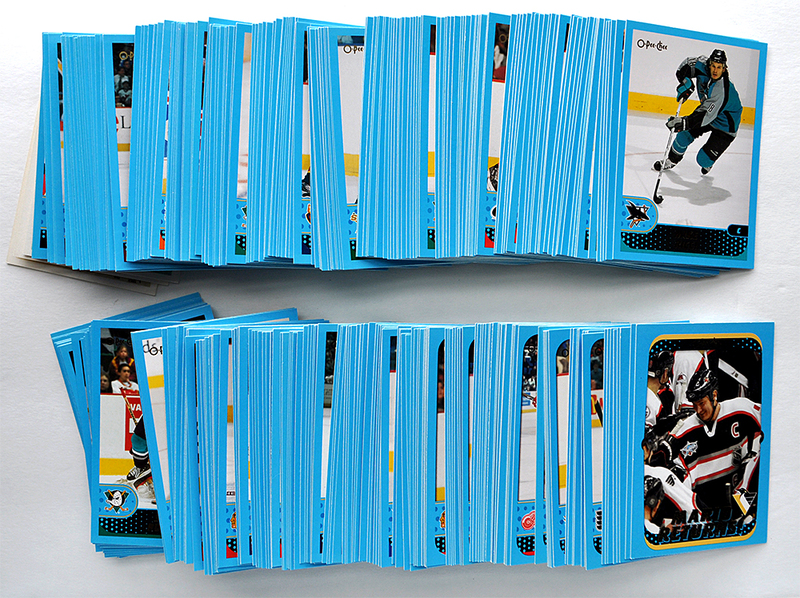 First, I did not buy any packs or boxes of new hockey cards. I have decided to swear off buying new packs of cards for a year. I will still allow myself to buy cheap vintage cards, like the $4 Pro Set box above. Also, I did not participate in any redemption programs. I would be OK with lifting my “ban” on buying new packs of cards this year for the redemption program. 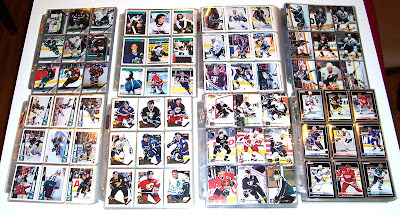 But instead of buying boxes of cards that I am lukewarm to — just to build a “show-only” set that is now easily found on Ebay for $10 or so, and maybe find an autographed card that I could also just buy outright if I really want it — I figured it would be better to put my money towards cards that I actually wanted, like a Guy Lafleur rookie card. 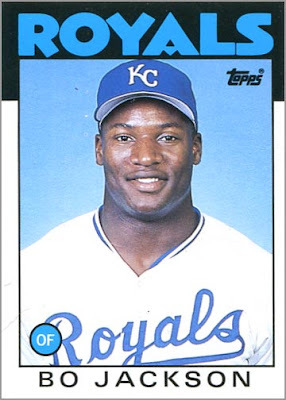 I had so many Starting Lineups in the 1990s. There was a point where I collected those as much, if not more, than cards. There is never anything wrong with a little show and tell! Thanks for sharing. My favourites are definitely the Sooz auto (she is awesome) and those vintage additions. Congrats on landing a Flower RC. i love the pro-set music cards! they came out at a turning point in the music world. there are the lame vanilla ice or Nelson cards but then there are some underground hitters like Sonic Youth, Gwar, and even the Screaming Trees-which the photo of the band included replacement drummer Dan Peters Legendary drummer of Mudhoney and briefly Nirvana, I had him autograph it at a Mudhoney show last year, asking him to “sign his rookie card” it was great! 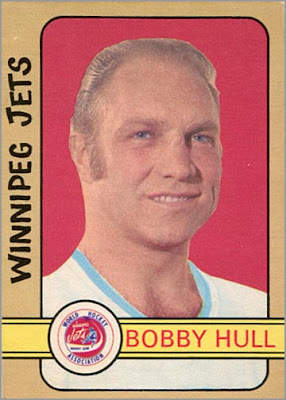 Next Next post: Card of the Week: Howe Awful!